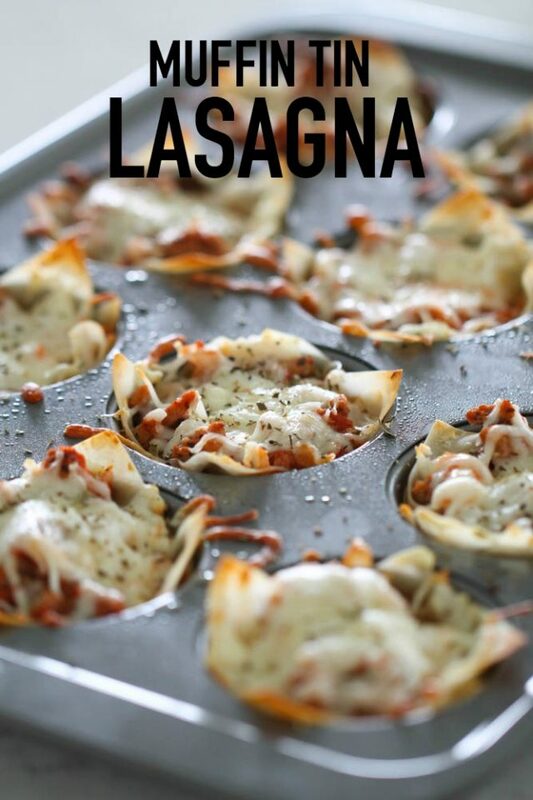 These Muffin Tin Lasagnas have all the flavor of regular lasagna but without all the calories. Wonton wrappers replace traditional pasta, and a ground turkey meat sauce combines with a ricotta cheese filling to make the perfect mini lasagnas. A lot of people are intimidated when it comes to making lasagna, so we have created the easiest homemade lasagna you will ever make. With these Muffin Tin Lasagnas, you don’t have to worry about precooking any pasta or spreading layers of complicated ingredients in a pan. 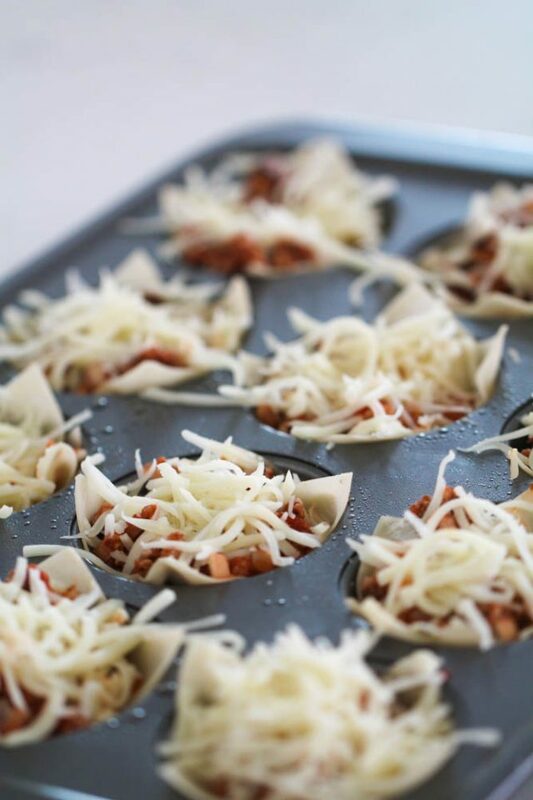 Instead you simply layer a wonton wrapper, cheese mixture and easy meat sauce and you have perfect mini lasagnas. The most important step when you are preparing to make Muffin Tin Lasagnas is spraying the muffin tin with nonstick cooking spray. If you spray your muffin tin, you will be able to easily remove them with a spoon when they are done cooking. You start by pressing a wonton wrapper into each muffin tin. Press each wonton down in the center and up the edges of each cup. Next, you will spread half of a cheese mixture in the bottom of each lasagna. The cheese mixture is made up of ricotta cheese, dried basil and dried oregano. That’s it! Super simple, yet delicious. The next layer is a tomato meat sauce. I started by browning a pound of ground turkey (you could also use lean ground beef) seasoned with salt and pepper, a diced onion and a half cup of diced fresh mushrooms. After the turkey was completely cooked through, I mixed in a can of crushed tomatoes, a few teaspoons of minced garlic and a little dried oregano. After the meat sauce simmers for a few minutes, I spread it on top of the cheese mixture in each cup and then sprinkled a little shredded mozzarella on top. Repeat all the layers one more time and then bake at 375 degrees for 10-12 minutes and dinner is ready to go! Can this lasagna be made ahead of time? 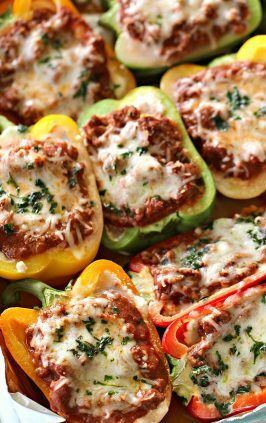 If you are going to be short on time in the evening, you can make these Muffin Tin Lasagnas earlier in the day or up to 2 days in advance, storing them covered in the refrigerator. If you make them too much further in advance, the wonton wrappers will become too soggy and they will not taste as good. Can muffin tin lasagnas be frozen? 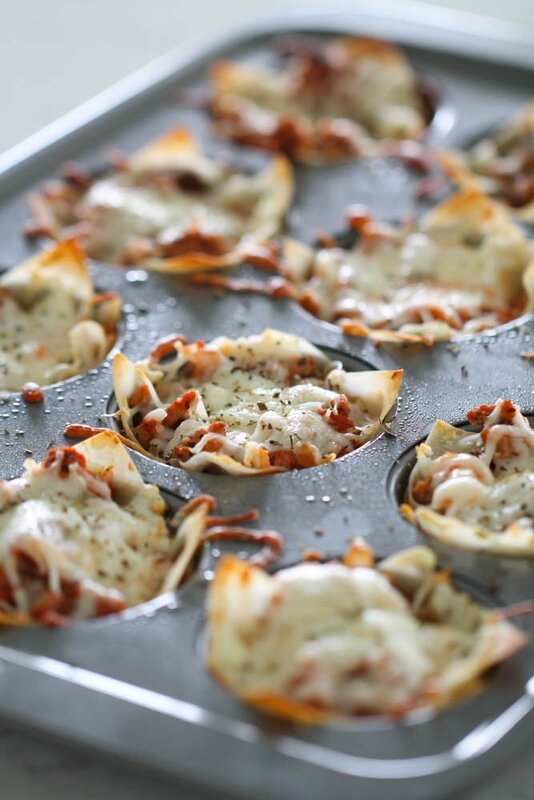 We recommend avoiding freezing these Muffin Tin Lasagnas because of how thin the wonton wrappers are. They are thin enough to tear and wouldn’t freeze then reheat well as they would become soggy and limp. Are these muffin tin lasagnas healthy? 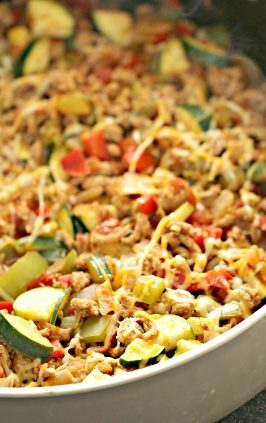 Substituting traditional ground beef or Italian sausage for ground turkey helps cut down on calories. Using wonton wrappers rather than lasagna noodles also keeps them lower in carbs and calories. Each Muffin Tin Lasagna has about 180 calories and over 10 grams of protein! 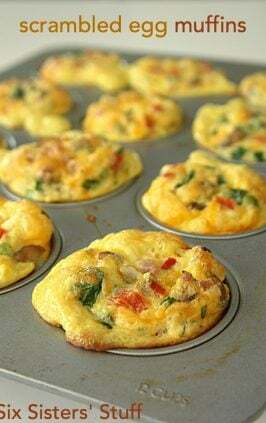 Muffin Tin: This muffin tin is made of steel and and is nonstick for easy release and quick clean up. Mixing Bowl: I use this 4-quart, glass mixing bowl for just about everything. Hamburger Meat Chopper: I love using this tool to perfectly break up and brown ground meats. Add turkey, onions, mushrooms, salt and pepper. Cook for 8-10 minutes, or until turkey is browned and onions are clear. Add minced garlic and cook for an additional 1-2 minutes. Stir in crushed tomatoes and two teaspoons of oregano. Reduce heat to low and let simmer for 10 minutes; remove from heat and set aside. In a large mixing bowl, combine ricotta, remaining oregano and basil and mix until combined; set aside. Place one wonton wrapper into each of the cups, pressing firmly in the bottom of the pan and up the sides. Use half of the ricotta mixture and divide it evenly among muffin cups. Top with half of the tomato sauce mixture divided evenly among muffin cups. Sprinkle 2 teaspoons of mozzarella cheese on top and repeat layers, starting with another wonton wrapper, cheese mixture, tomato sauce and shredded cheese. Bake for 10-12 minutes, or until cheese has melted and wonton wrappers are golden brown on the edge. 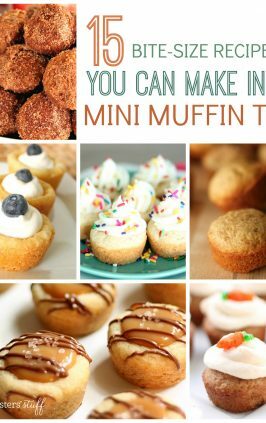 Let cool for a few minutes, remove from muffin tin and serve. Watch how easy it is to make our Instant Pot Lasagna! Wow, what a great recipe! It looks so yummy! Thanks for posting this! Thanks! I'm definitely going to try this and share the recipe with my friends! Great recipe! Any Italian food made mini and healthier is a winner in my book. 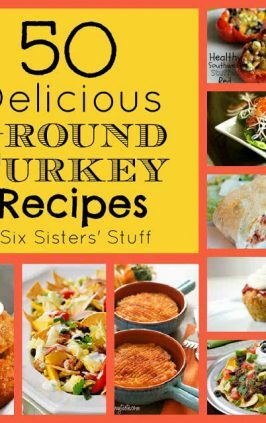 Thanks for sharing this, I am on WW and I love finding new delicious recipes! Please stop by www.laughloveandcraft.com and link up to my Share the Wealth Wednesday Link Party! I'm your newest follower! Hubby loves lasagna, I have got to try this. Thanks for sharing. 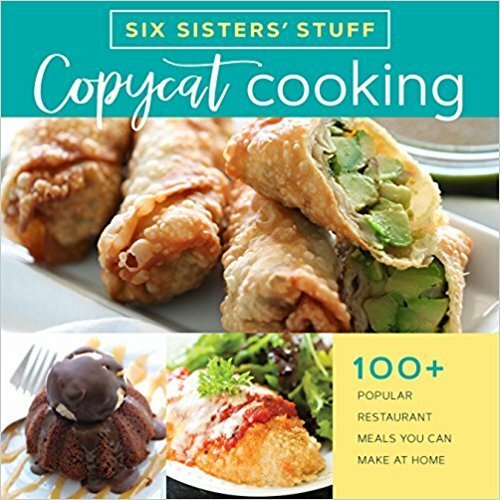 This recipe sounds so good and with the wonton wrappers, I feel like I could tackle it! Thanks! This looks really great! We love pasta at our house. Definitely want to try this - you've been featured at Sew Can Do's Craftastic Monday party today. Stop by & grab a Featured On button. Thanks for linking! Mmmm...I definitely need to try this one. I'm on a weight-loss journey myself and am always looking for new healthy and delicious recipes. Can't wait to check out Andie's blog too. Yum!! 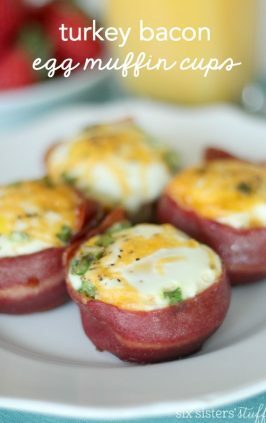 Do you think you could make these and then freeze them for later? Hi Angee, we have never frozen these because we eat them so fast. But looking over all the ingredients, they should freeze just fine. Then just thaw and reheat!